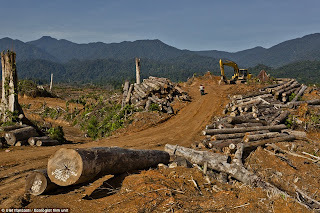 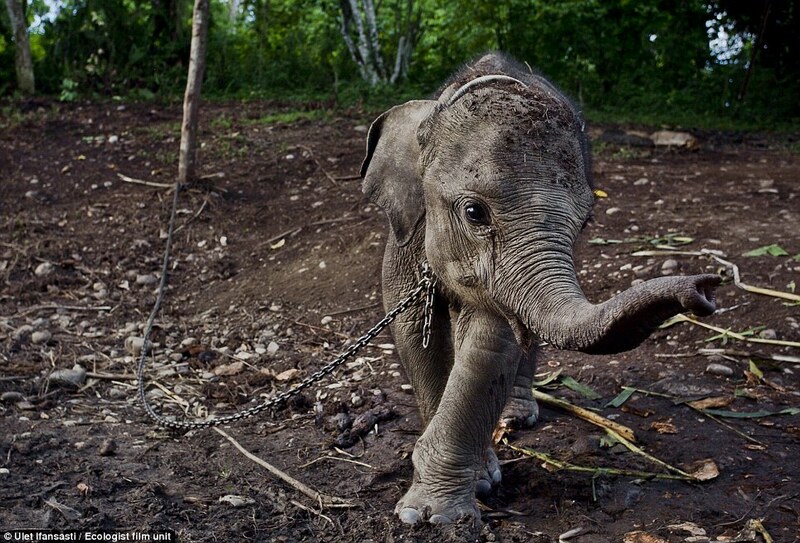 It is estimated that deforestation has already halved the Sumatran elephant population within one generation. 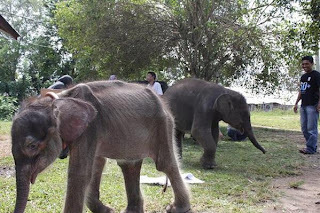 With the disappearance of the forests, elephants are increasingly resorting to feeding in fields and plantations, and villagers found Raja apparently abandoned in their palm oil plantation. Having suffered from loss of crops to elephants, they captured him in the hope of holding him to ransom for some compensation. 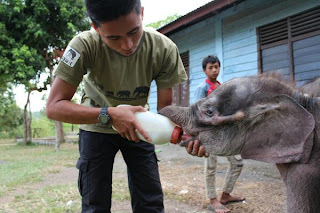 As soon as they were alerted, the Veterinary Society for Sumatran Wildlife Conservation (VESSWIC) and one from the state conservation agency went immediately to the village to assess the situation, check on Raja’s health and give him some immediate treatment. 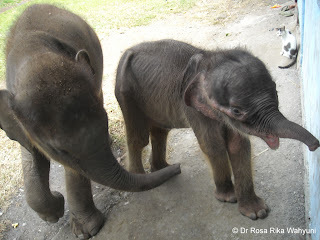 They were working with the authorities to negotiate the release of Raja with the support of the community. 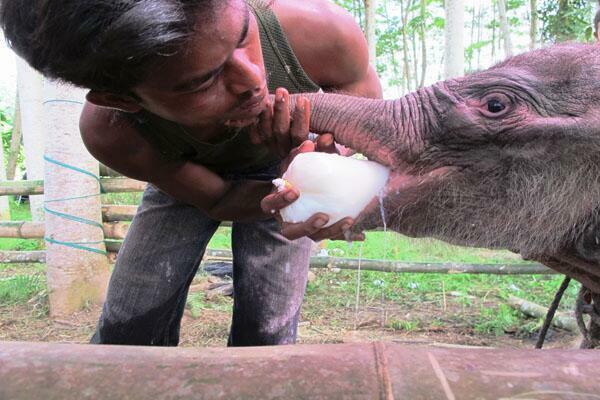 The negotiations had been going well, and Raja's health was reported to stable. It therefore came as an incredible shock to all of them to learn of his sudden collapse and death. 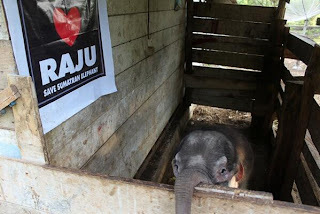 Raja was buried soon afterwards, so it is difficult for them to know for sure without having been able to examine him, but from all accounts the villagers had started giving him food that he was not used to. 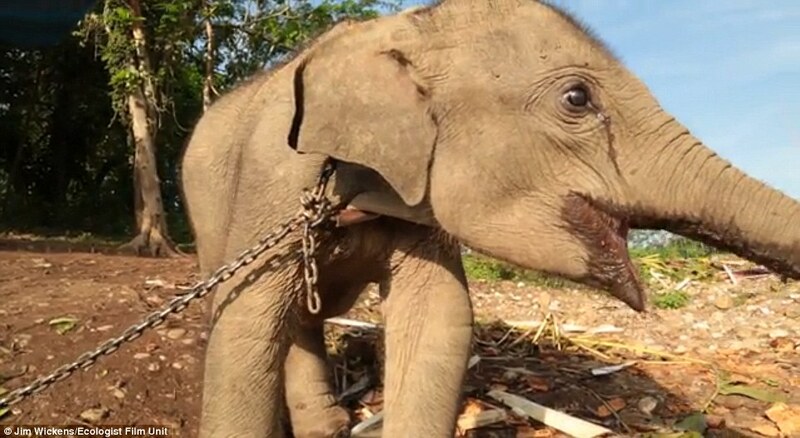 This was done with good intentions, but through inexperience and without the vets’ knowledge, it most likely caused a sudden bacterial infection that tragically, his young body could not cope with. The terrible capture of Raja by villagers in Sumatra came from frustration at losing their crops to elephants, and a lack of support from the government, a scenario that could become more frequent if the spatial plan goes ahead. 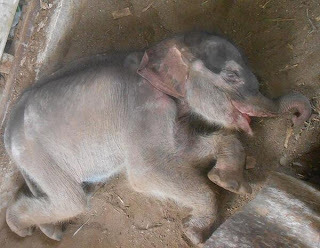 Even so, they had hoped to profit from keeping Raja and holding him to ransom, and so they were even more shocked to learn that the same villagers had also captured another, much younger baby in the same area a few days before Raja died, who they called Raju. 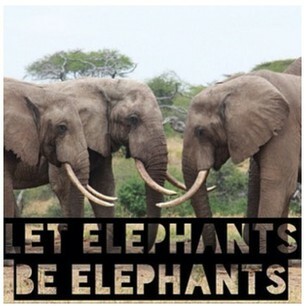 So sad but true, yesterday ( 22/07/13), Raju couldn't fight much longer. 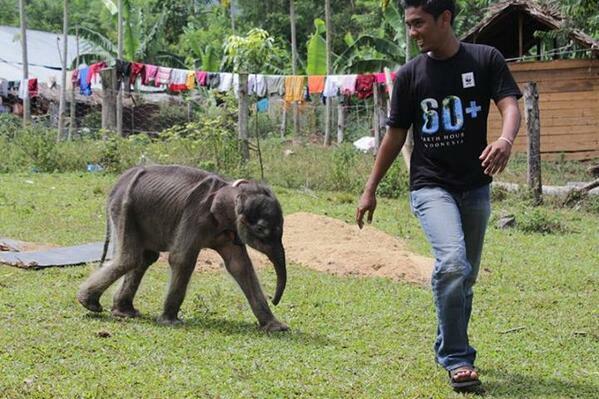 His critical diarrhea makes him gives up and leave a beautiful memory for all whose support him to fight. 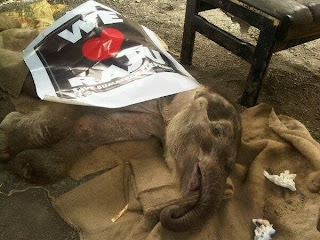 The social campaign & garage sale activities which used to help raju therapy was still running to this day. 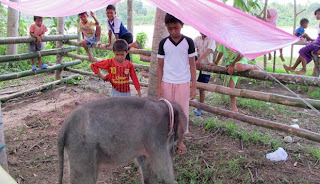 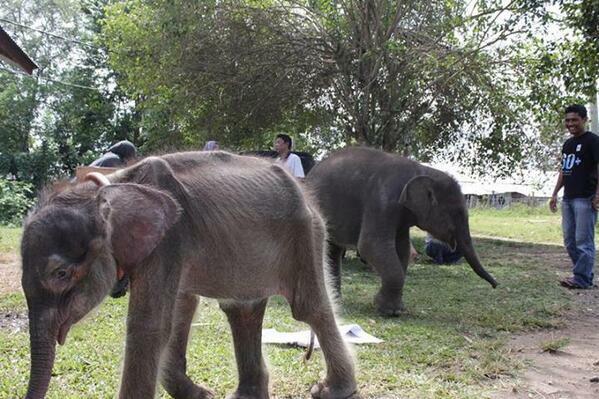 Donations and all contributions still raised for helping the sustainability of Sumatran Elephant conservation. 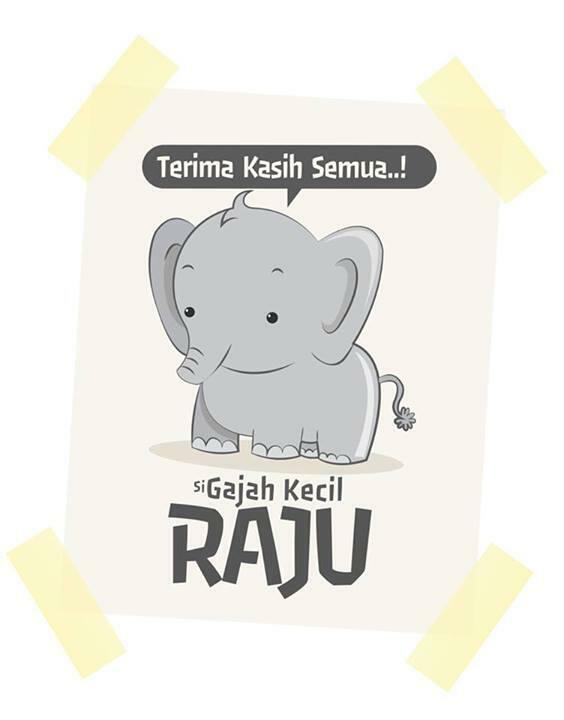 Goodbye Raja... Goodbye Raju... u'll always be in our heart. If you guys miss us, give us your prettiest smile from up there.